I’m posting this blog two days before “Cyber Monday,” and unless you’ve spent the past two days since “Black Friday” hiding under the covers to avoid the commercial barrage, you’re already all-too-aware that holiday shopping season is well underway. Wine lover that you are, you’ve probably got friends who share your interest in vino. However, that’s no assurance that they also share your taste, so buying wine for them may not be the best idea. Better to buy something that will help them enhance their enjoyment of the wines they prefer, and I’ve got just the thing. No…it isn’t a Coravin. Granted, that amazing device is probably the Wine Gadget of the Century, in terms of sheer innovative genius (it permits one to check a wine for maturity without oxidizing it, using a surgical-quality needle and a system for replacing the liquid with inert argon gas). However, though I purchased a Coravin a few years back, and though I’m very glad to own it, I’m a bit too much of a populist to advise others to buy it. After all, a gizmo that costs up to $300 to let one sneak a peek at a wine just doesn’t make sense for those outside of the wine trade--or those who already have so much wine and money that they don’t need my advice. So, my recommendation goes to a device that costs one-tenth as much as a Coravin. 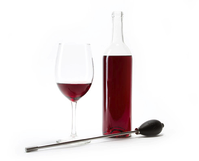 It is the “Aermate,” specifically the bottle-sized model, which is the most effective wine aerator that I’ve ever used. For years, my aerating system has consisted of a thick, old milk bottle and a cheapo stainless steel funnel. With virtually every bottle of red wine that I open to drink (as opposed to evaluate and score), I simply poured the wine vigorously into the milk bottle, and then funneled it back into its original bottle. The fancy term for this is “double decanting,” and it is quick, effective, and used by famous winemakers around the world. Never having found a device that worked any better, I was done. Until the Aermate showed up. It is basically a stainless steel wand with a squeeze bulb at the top and a tip that has lots and lots of teeny weeny holes. I still use my old system, but once I’ve poured the wine into the milk bottle, I insert the wand and give the bulb 7 or 8 good squeezes, which forces a gazillion extremely small bubbles into the wine. Once the resulting foam has subsided, I funnel the vino back into the bottle (not because additional aerating is necessary, but simply to avoid confusion, since I’ve always got multiple bottles open at once). The device is very effective, and those with a lot of technical knowledge about wine will know the specific name of the effect as “micro-oxygenation.” Those without a lot of technical knowledge will nevertheless find the effect to be significantly more pronounced than with other aerators, for the simple reason that a lot more oxygen is introduced to the wine because of the greater surface area of those gazillion little bubbles. One little hitch: The packaging for the device touts its ability to extend down to the bottom of a wine bottle, which indeed it will. However, if you employ it in this manner without first removing a good glassful of wine, the foaming result of even a squeeze or two of the bulb will produce a massive, frothy overflow. I confess that I made this mistake on my first use of the Aermate, and my only defense (for doing something that seems quite dopey in retrospect) is that I’d become so dismissive of aerators that I now test all of them in a perfunctory way, since most of them are a waste of money. This one anything but a waste of money. When first introduced four years ago, it went from $40 on release down to $30 pretty quickly, and now is offered on several wine supply websites at $20. However, Amazon is now selling it as an "add on" item for $5.99, as long as you add it onto an order of $25 or more. Or, you can do what I did just before posting this blog, which was to buy SIX of them to get that price. You can guess what the wine drinkers on my shopping list will be getting in their stockings this year. This thing is terrific, and will make almost any young red more expressive in terms of aroma and flavor. I give it my highest recommendation. Very much to my own surprise…. In most American families, altering the menu for Thanksgiving Dinner would be unthinkable at best…and downright heretical at worst. I can understand that, I suppose, and will agree to consider this under the heading of “venerable tradition” rather than “mindless repetition.” Still, if I had my way, the Franz family would have kicked the stupid turkey to the curb decades ago in favor of a roast goose, which is a vastly more interesting bird. But I don’t have my way, on account of the fact that my 97-year-old father has seniority. I feel so lucky to have him with us that I will--yet again--be cheerfully roasting up yet another stupid turkey this week. To be entirely candid, however, a lot of my cheerfulness will stem from the fact that I can at least change up the wine we’ll be drinking. 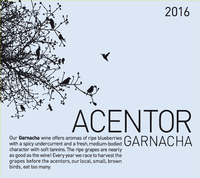 Aragón Garnacha’s welcoming approachability an important virtue, as the reality of things is that many Americans drink wine very occasionally, with Thanksgiving being among the few occasions. We don’t want to scare off newbies when we’ve got a rare chance to convert them, and we certainly don’t want to let them harm themselves…as a big, foamy, bloating beer with Thanksgiving dinner could blow up a guest like a human piñata. You may be more familiar with Garnacha under its French name, Grenache, and in France, the grape is the predominant component in most bottles of Côtes-du-Rhône. These wines are also excellent candidates for Thanksgiving, and indeed better ones than Beaujolais or Pinot on a dollar-for-dollar basis. (Sure, if you’ve got $75 to spend on well-aged Pinot from Volnay or Chambolle-Musigny in Burgundy, that’s exactly what you should optimally do, but that’s simply not in the cards for most families.) 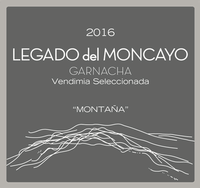 Still, I think Spanish Garnacha is even better with this meal than Côtes-du-Rhône, as Garnacha usually has a flavor profile that is more purely fruity, and which therefore pairs more successfully with the vast array of flavors and textures in a typical Thanksgiving dinner. Two of my favorite cocktails--one a classic, the other a contemporary creation--share an airplane theme. The Aviation, a pre-Prohibition sweet, floral, refreshing mix of gin, Maraschino, and crème de violette, was briefly revived in the early 21st century but has now slipped somewhat back into obscurity, in part because many of today’s mixologists dislike one of its ingredients, crème de violette. Oh well, despite its fall from grace, I’m still in love with a well-made Aviation (with or without the crème de Violette). 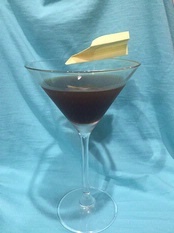 Meanwhile, everyone seems to like the Paper Plane, an up-to-date and delectable cocktail based on whiskey and Amaro that was developed in New York in 2007 by Sam Ross, co-owner of the cocktail lairs Attaboy and Diamond Reef. One thing I appreciate about Ross’ drinks is that they are generally based on no more than three or four ingredients used in equal parts (spare me all the palate-jumbling cocktails that call for multitudes of different potions and liqueurs). Nonino is the Amaro used in the original Paper Plane, but I think Ramazzotti is equally delicious in it, and considerably less expensive. Garnish with a lemon twist, or a paper plane (if you still remember how you used to make them back in 6th grade). Place all the ingredients except the garnish in a shaker. Add ice, shake, and strain into a chilled coupe or martini glass.